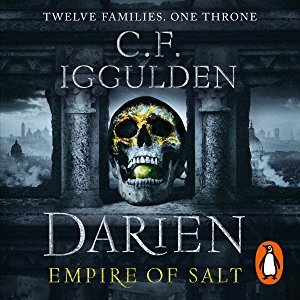 So Darien, Empire of Salt is the opening salvo to this high-fantasy trilogy by CF Iggulden, [Conn F Iggulden also happens to be one of my all-time favourite historical fiction authors]. After his books on Genghis Khan and Julius Ceaser (Both towering feats of story-telling, of spell binding imagination that brings alive historical stories drenched in blood and myths!) I was super excited that he turned his hands, to writing a full-on fantasy novel, without the trappings of actual history weighing down on the story. Unfettered imagination and brilliant writing chops, would make this a delectable affair, thought I. and naturally, the expectations were sky-high. The Marvel Universe is very nicely set up - and we get Superhero Origin stories aplenty. This time - we go back to find out who The Black Panther is. And if the trailer is anything to go by, we have another winner on our hands! Peter McLean, I think is a rockstar in this genre. 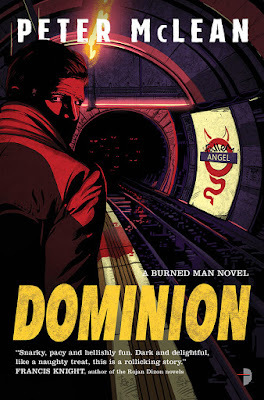 The darker seedier side of urban fantasy - with a protagonist like Don Drake and his snarky archdemon The Burned Man - who are right up there, with say Miriam Black (Chuck Wendig) or the Sandman Slim series (Richard Kadrey). This series starts off in the best possible manner - introducing us to Drake and his pet archdemon in a gritty version of London – dark and violent like no man’s land. And Drake while not exactly a wall-flower, doesn’t really come across as a man you would consider making friends with soon. But for all his flaws, there is something redeemable about this crook who can summon demons from Hell to do his bidding as a ‘diabologist’ and has more to him than meets the eye, at first glance.